I'm Here. I'm Queer. What the Hell do I read? 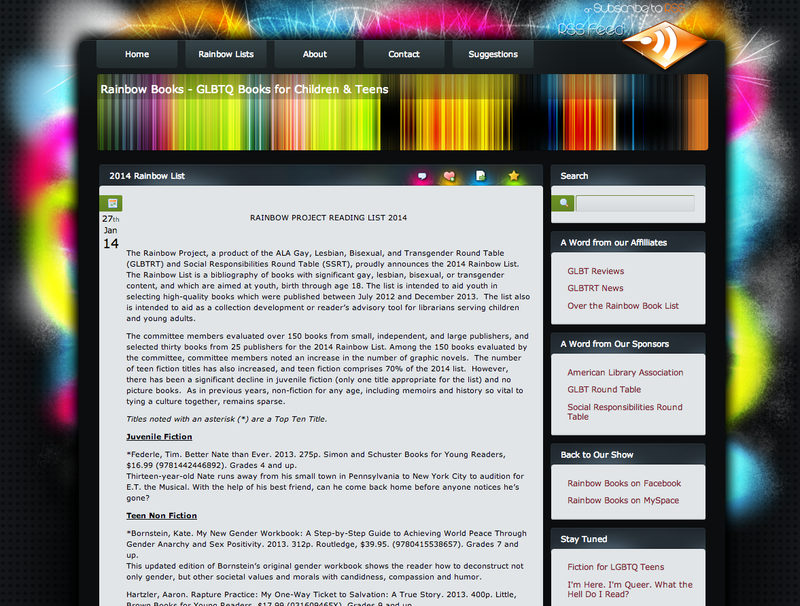 : The Rainbow List is Here! The Rainbow List is Here! The Rainbow List is Here! The Rainbow List is Here! Give librarians and other professionals who buy books for library collections a list of LGBTQ-inclusive and themed books recommended by the American Library Association as being "high quality." Congratulations to everyone who made the Rainbow List! And for the rest of us, Happy Reading!